50 illustrations by John Tenniel. Red hardcover with gilt trim and all page edges gilt. 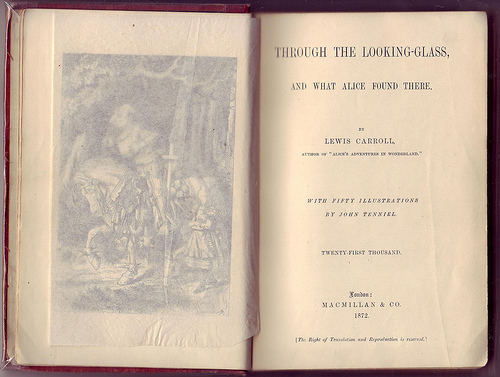 Published by Macmillan & Co. 1872. Twenty first thousand. 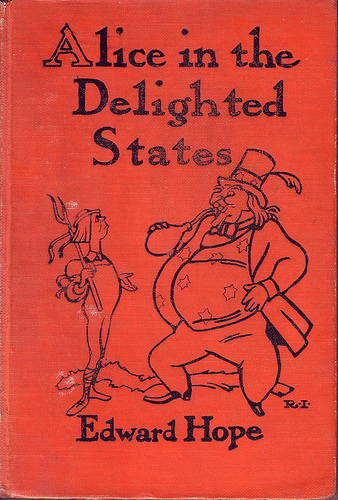 (First edition but later printing). Publisher’s advertisements at the back. 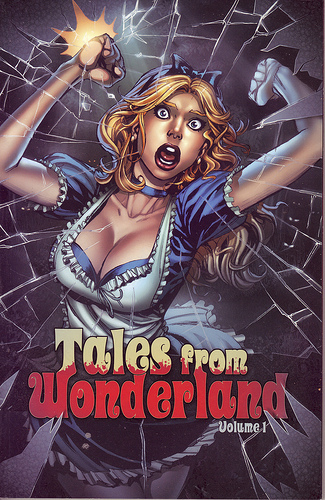 Tales From Wonderland by Joe Brusha, Ralph Tedesco & Raven Gregory. A scientist discovers a portal to another realm but his obsession proves much more costly than he ever could have imagined. Four incredible tales straight from a horror-filled realm unlike no other. Enter a place where madness and terror reign supreme…. Enter the world of WONDERLAND! Eileen’s Adventures in Wordland: The Life Story of Our Word Friends by Zillah K. Macdonald. Illustrations by Stuart Hay (1889-1969), an American cartoonist, illustrator and architect. Published by Frederick A. Stokes Company, New York, 1920. 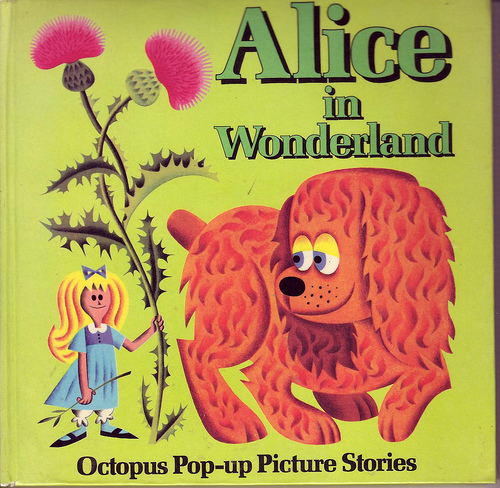 Alice in Wonderland pop-up book. 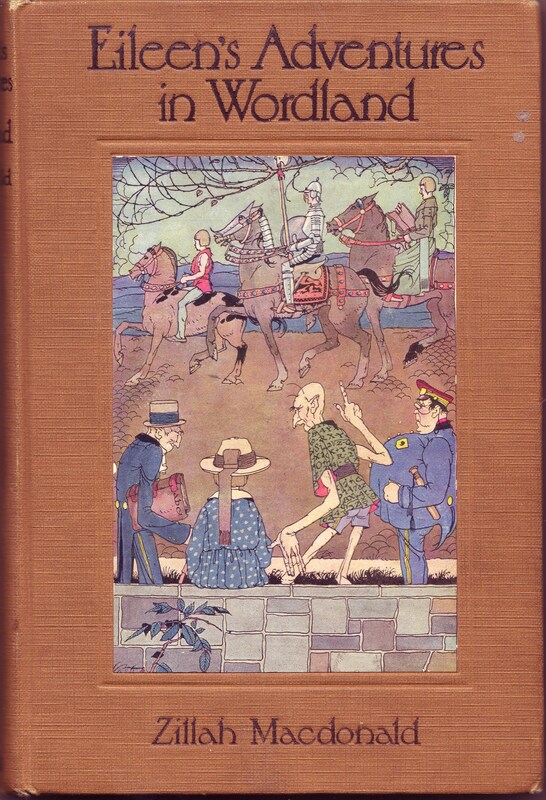 Illustrated by Czech artists J.Pavlin and G. Seda. Published in the UK by Octopus books, 1980. Illustrations © 1975. With 6 double page pop-ups, all in working order. The duo have also produced other pop-ups including Aesop and Gulliver’s Travels. 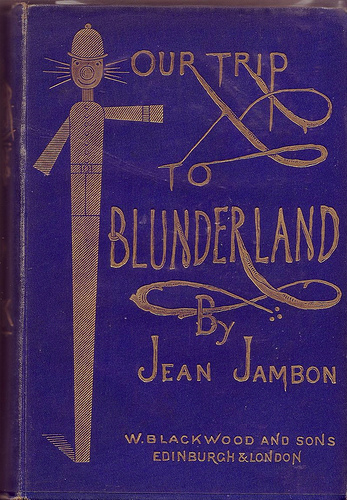 Our Trip to Blunderland by Jean Jambon (John Hay Athol Macdonald). There are 60 illustrations by Charles Doyle. Published by William Blackwood and Sons, 1877. Hardback, second edition. Charles Doyle was a civil servant, but also worked as an illustrator throughout his life. As well as Our Trip to Blunderland, he contributed illustrations to the Illustrated Times, London Society, and The Graphic. He was the father of Arthur Conan Doyle, the creator of Sherlock Holmes. Norval, Jaques, and Ranulf) had been reading all about Alice, and the strange, funny things she saw and did when fast asleep. ” Well, I didn’t know I was asleep till I woke up, either,” answered Jaques. ” Of course I would,” said a sweet voice behind them ; and, turning round, who should they see but little Alice herself, looking exactly as she does on page 35, where she is getting her thimble from the Dodo. Most of the original editions are pretty expensive, but there is a modern reprint available. I got lucky with this copy. 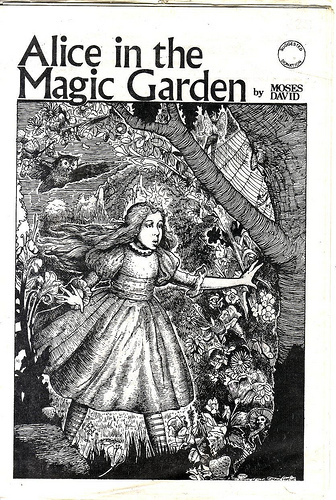 Alice in the Magic Garden by Moses David (also known as David Brandt Berg.) He was the founder and leader of the cult formerly called The Children of God, but now known as “The Family International”. Published by The Children of God in 1974. Religious pamphlet using Alice imagery, promoting what is a rather dodgy cult, according to most sources. Allegations made against the organisation include abduction and physical and sexual abuse. Illustrations signed “Eman Artist”, which is apparently a pseudonym for Hugo Westphal, who was expelled from the ‘family’ after repeated accusations of severe physical abuse against women and children. River and Joaquin Phoenix were child members of the cult from 1972–1978. River Phoenix, who died of a drug overdose in 1993, has been quoted as saying that “they’re ruining people’s lives”. All in all an interesting if disturbing piece of ephemera. Bought in Marchpane Books, Cecil Court.